While the supermarkets and chain stores hawk their Christmas wares on a TV conveyor belt of tedious celebrity endorsement, it’s refreshing to know that a few festive ad campaigns still opt for flair, originality and imagination. And, as is so often the case, it’s not so much what you put in as what you leave out. 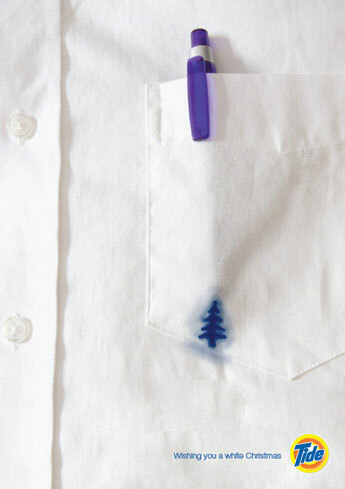 Three of the best examples we’ve come across in a random trawl of Christmases past and present score highly on the strength of their sheer economy and simplicity. Take this ad for Nespresso – the “mug tree” concept is very neat. 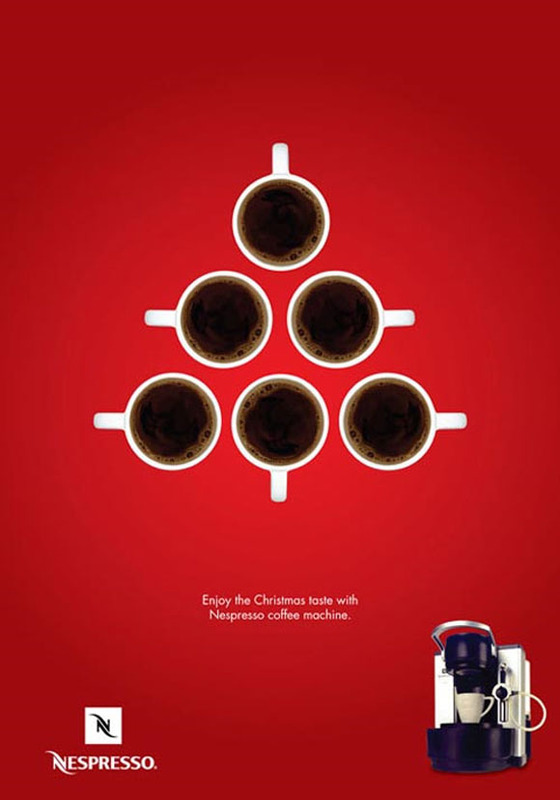 Yes, we all know that gimmicky coffee machines only come out at Christmas and will be consigned to the back of the cupboard before Twelfth Night, but hey, it’s a belter of an ad. 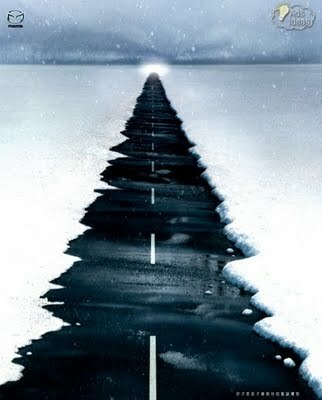 In similar vein we commend this 2007 effort for Mazda – icy road morphs into seasonal spruce – and a rather nifty “pencil tree” for the CreAds agency; straight to the point in more ways than one. 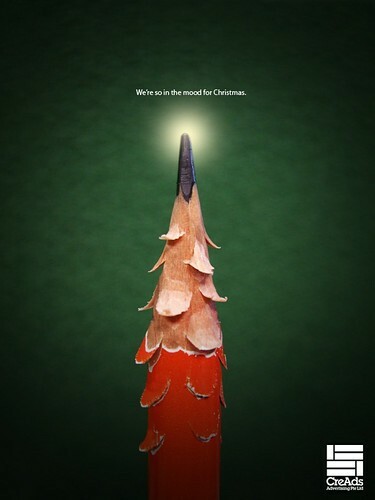 Cleverer still is this simple but brilliantly observed ad for Tide washing powder, putting a seasonal twist on an everyday office irritation and adding the perfect tagline. Understated and inspired. 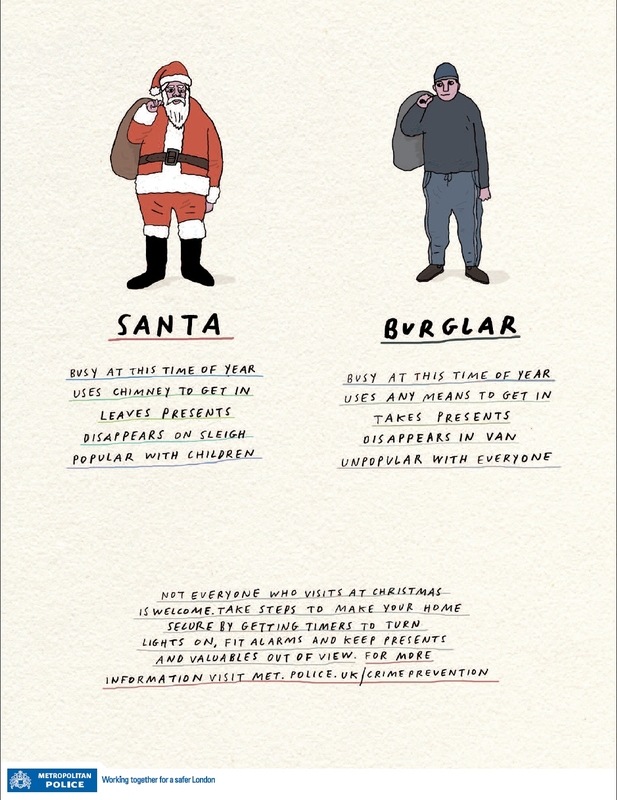 Moving away from hard-nosed commercialism, there is much to admire in this Met Police crime prevention campaign poster. The eye-catching compare-and-contrast approach is enriched by its humour and lightness of touch – much more effective than a finger-wagging A2-sized lecture. Next Post: Designer and iPad user? What apps do you use?